There are many companies that use multiple power supplies in their DACs – having 5 independent power supplies is not that unusual – any decent DAC has at least 4 power supplies. For a company to be able to claim the USB input on their DAC is galvanically isolated it must have a 100% independent power supply with a floating ground powering the USB input. Only a small percentage of the companies that claim their USB input is galvanically isolated actually are. But this is just the tip of the iceberg. The thing that really makes the power supplies in our Mystique v3 so unique is that all 5 of them use choke input topology. What is a choke input? The first filtering component after the rectifying bridge is a choke instead of a capacitor. This is nothing new – choke input power supplies were engineered by Western Electric roughly 90 years ago. What is the advantage of a choke input power supply? The crest factor of the waves going through the rectifier bridge is literally 50% of a capacitor input power supply – cut off half the peak and fill in half the valley. The heat in the rectifier bridge is literally 50% of a capacitor input power supply – heat creates noise and heat wears parts out faster. The voltage and current flow 100% in phase with one another – without a choke input power supplies are constantly over and under shooting the musical wave. There is no other way to achieve these advantages in a power supply. Constant current sources are an inexpensive imitation of a choke input. Constant current source power supplies are significantly better than a simple capacitor filtered power supply, but can not match the performance of a power supply with a choke input. So why don’t other companies use choke input power supplies? They are significantly larger, significantly heavier, and significantly more expensive than the more common capacitor input power supplies. There are many other companies still use choke input power supplies. You’ll mostly find them in high-end tube amps and you’ll mostly find just one choke input power supply. As far as we know, there is no other company making a DAC with choke input power supplies. In addition to the choke input, every other aspect of our power supplies is done to the highest level. For example, following the input choke is a Mundorf 4-pole AG+ M-Lytic capacitor, the best electrolytic capacitor made by Mundorf. The performance of even the best 2-pole capacitor is nowhere near that of a 4-pole. And following the 4-pole capacitors are 12 discrete Sparkos Labs ultralow-noise ultrahigh-dynamic regulators independently powering every type of IC. By having so many independent regulators each type of IC is isolated from one another, and each type of IC has more effortless current flow. We use 5 Sparkos Labs regulators in the digital input stage and four of them on the DAC chips. Regulator performance is another area that so many companies fall down on. It is not just how low the impedance and ripple are leaving a regulator, the regulator has to be incredibly fast, so that no matter the amount of current required, the power supply can follow the music instantaneously without any over or undershoot. Without a power supply of this speed and this level of voltage/current phasing, the music is playing the DAC vs the DAC playing the music. Seriously. The last topology in of our power supplies that is often overlooked by other companies is the ground impedance. When you raise the impedance you raise the noise floor. In order to have the lowest possible ground impedance you must have the power supply in the same chassis as the rest of the DAC. Any company that is using an external power supply has to deal with the impedance of the umbilical cable that goes between chassis, and the impedance of the connectors the umbilical cable plugs into, in addition to the impedance inside of the signal circuitry. All things being equal (regulator performance, chokes and caps, and isolation between power supplies), if you put an identical power supply in an external chassis the performance would be greatly reduced. So what are the disadvantages of putting the power supply in the same chassis as the signal circuitry? Electro-Magnetic Interference (EMI) from the power transformers and chokes and mechanical resonance from the power transformers and chokes adding noise to the signal circuitry. Our unique 2-piece low-resonance chassis is made from a polymerized aluminum composite with about 11% lower mechanical resonance than an anodized aluminum chassis. In addition to the two external panels of our chassis being low resonance, our chassis deals with EMI and mechanical resonance produced by the power supply. All power transformers and chokes are isolated from the signal circuitry with a .25″ thick divider made from ferrous metal. FYI, aluminum does not shield against EMI. We also mount both the power transformers and the signal board on anti-resonant stand offs inside the chassis to minimize mechanical resonance. In order to do this we can not use the PCB mounted connectors most companies use. Instead we mount most of our signal connectors to the chassis and run very fine cotton covered 24AWG UniCrystal OCC silver wire between those connectors and the signal circuit board. Since we could not mount our USB and optical inputs to the chassis we mount them on the signal board and allow them to “float.” This is why the openings around the USB and optical inputs in the rear of our chassis are so large and that is why both of them have a bit of wiggle to them. Put all of this together and that is why the musical flow, attack, bloom, decay, and the harmonic coherency in our Mystique v3 are second to none. Other companies brag about the insanely high sampling frequencies and bit depth. That is a bunch of marketing BS. Without having an optimal power supply and minimal mechanical resonance there is no way to actually hear a fraction of the digital resolution these other companies brag about. Think of power supply like the type of paper you use in a printer. If you use a 1200 DPI printer with HD graphics and print it on cheap copy paper you won’t see a fraction of the resolution. It makes no difference how much resolution the graphic or the printer have unless the paper has a smooth enough surface to reveal it. The same is true of power supply noise, HD files, and HD DAC chips: unless the power supply noise is lower than the voltage of the least significant bit you won’t be able to hear it. And if you’re wondering about the validity of the facts stated in those two blogs, feel free to look up the references at the end. 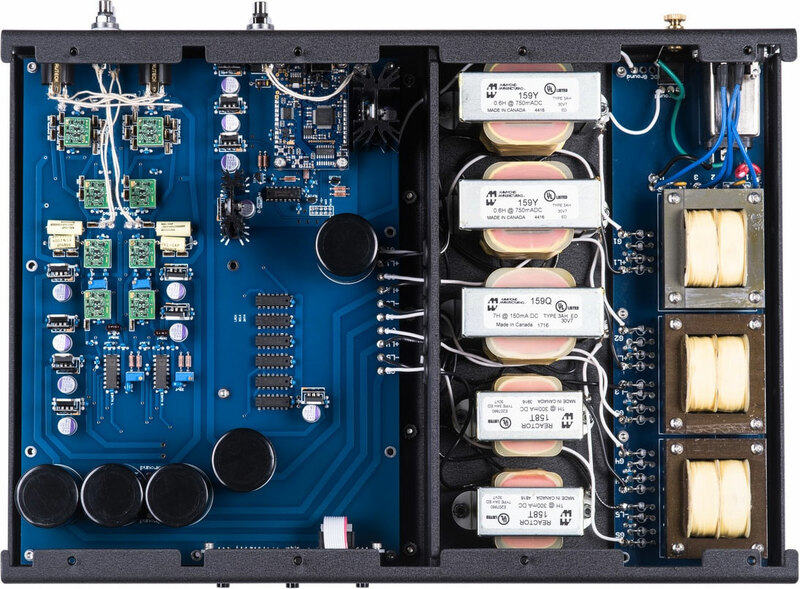 The references are publications from companies that make equipment for recording studios, highly respected professional recording engineers, and companies that make the most advanced DAC chips.